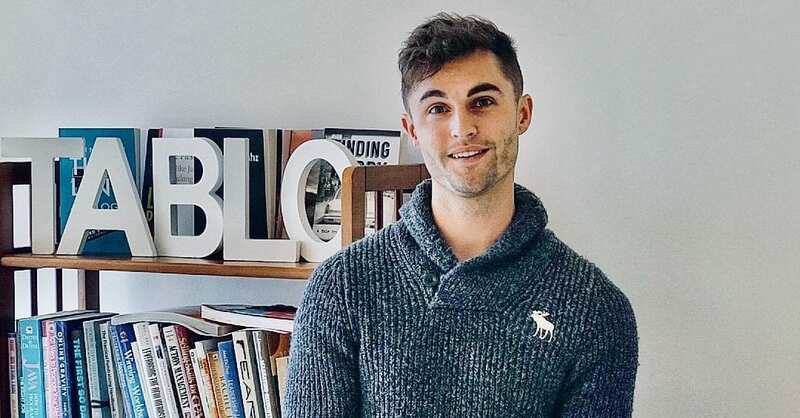 TABLO founder and CEO Ash Davies as a teenager wanted to publish their own book, when it appeared to be hard to do – they set up their own publishing company with social integration. Mini Roadster S Review (Vimeo) …when Davies was teen. Hannah Georgas – No Need To Argue (official audio) and Georgas Official Site is epic, to. Few minutes, from a few years ago – capturing with the boss of the Adelaide Fringe the importance and vibe of the event. Including sharing what moved them most year spoke with. Recorded inside Gluttony that’s back for another year. Ashley Davies was a teenager, that wanted to publish his own book. When it appeared it was not going to be easy to do, he created a publishing platform. Few years later, making Forbes thirty under thirty. As for the platform, it became Tablo. Self-publishing venture with social and online profiles for authors… in the last year, has gone to also now include physical books…. available through forty thousand retailers they say, with authors in over one hundred and fifty countries. 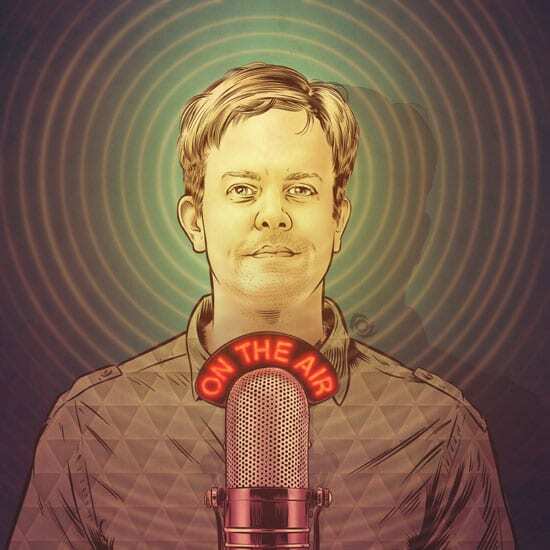 John Murch: Ash, welcome to radionotes. Ash Davies: Thank you very much. John Murch: Elon Musk air fresher. Ash Davies: It’s strange because I’ve been working for years in books, and I put out an air freshener company that’s related to Elon Musk, and that’s become my legacy. That’s what everyone now talks about, so I’m just riding that wave of viral success. John Murch: I’m getting it out of the way first up. Ash Davies: It’s fantastic, and I have air fresheners here. I see that’s the main reason you’re here is to pick up free swag. John Murch: Wow, at least two. John Murch: He has become a little un-hot of late in 2018. We’re recording late June. He might get back up there again. Ash Davies: He could too. He’s a phenomenal guy. I’m a big fan of his work and becoming a fan of his Twitter as he tones down the craziness a little bit. Ash Davies: My brother and I had this idea in October of last year. It all happened super quickly. The elevator pitch is we make a brand of air freshener called Elon’s Musk. This smells like actual musk. Stupid idea. I’m surprised no one else did it. It’s worked very well. We came up with the idea over a weekend. There may have been a beer involved. We were joking about the pun of his last name and decided, well, we have to make an air freshener out of this. I was actually working on a little side project myself at the same time of selling little … or, rather, designing and having produced little air fresheners for cars that look like emojis, the smile face, the eggplant, the little thing with the monkey in the eyes, so I had a bit of that infrastructure set up to have air fresheners printed. Ash Davies: As soon as we realized that Elon’s last name sounded like a pun, we thought, “Let’s make an Elon’s Musk air freshener.” Got the design done on Fiverr, cost $5. Put up a website over the weekend, sent out a tweet really just to test if the idea would work. It was a very slapdash idea, and I thought, well, if someone buys it, then we’ll get some printed. I went to bed at 12:00 on that Thursday. We had sold two. I was like, “Wow, people are buying these things.” Woke up at about 4:00 a.m. I’m scrolling through my phone. We’ve got about 80 sales. John Murch: Okay. What time did you get up? 4:00? John Murch: That’s just after lunch in Canada, for example. Ash Davies: Yeah. We sold about 80 in a few hours with a tweet. I was looking through my Twitter and my inbox looking at analytics, look at where these sales had come from, and it turns out one of the editors of C-Net was following me. They had written up an article. From there, it went to Mashable then Top Gear then Jalopnik, so it went viral pretty quickly and unexpectedly. We’d sold 1,000 by that Sunday, and we had printed and smelt zero, so we thought, “Christ, we’ve got to get this thing up and running,” and just printed a huge number of them. That’s been our side project and our little business since. John Murch: What is it about Elon Musk for you, Ash, in terms of a business person? Let’s look at that business aspect of Elon Musk because, obviously, there are some, if not parallels, there’s some orbits happening there. Ash Davies: Well, there’s a guy who can look at a really complicated problem and digest it into something very, very simple. He focuses on product. He speaks very simply about his solutions, and he just gets a lot of stuff done. What I love abut Elon is you can think about the Edisons and the Steve Jobs. This is a figure of that scale who’s still alive and with us and still doing some of his best work, so that’s exciting just to follow as a fan, and I’m a big fan of his products. John Murch: Simplicity and getting the job done is somewhere where you’ve come from to get where you are now as being one of the 30 Under 30 for Forbes, which is just outstanding. Ash Davies: Well, thank you. I started Tablo when I was 19 or 20. I was writing a book. I was so used to the experience of blogging where you could just write something and click publish and you’d have a blog and expected the world of publishing a book to be very similar where you could write your book and click publish and have a book, but it was far more complicated. You’re exactly right. It was a process of looking to make something simple that should be simple, and it’s one of those paradoxes where you can spend years working really hard to make something seem like it was very obvious. That’s what Tablo has been. It’s a platform where you can write something, click a publish button, and you get a paperback book in nearly every bookshop in the world. John Murch: This is really, in the last couple of months of 2018, become even more of a reality. Obviously, it’s always been, for you, within the circle of what you were doing, but to have things like Amazon Prime and other organisations basically reintroducing the written word on page. Ash Davies: On paper. That’s the crazy thing. We’ve got paper books. There’s no pinch to zoom. There’s no double tap for a definition. It’s real paper novels. That’s the real growth area for books at the moment. Sounds strange because that’s a 100,000-year-old industry, but you can write something online, click a publish button, and you can be in Adelaide. You can be in Brooklyn. You can go down to your closest Barnes & Noble or you can go onto Amazon, and it’s listed as in stock. You can click buy. It’s printed at the closest facility. It’s shipped right away. It’s digital publishing at its absolute best where the result is paper in every bookshop. For authors, it’s as simple as publishing a blog, but a real book. We’ve got some here. I know it’s stupid to show a demo. John Murch: Audio, yeah. I was having a look around in the wait room downstairs of where this office is based, and it was just so tactile and so of what I expected from a publication, and this was one that you can write in as well with your thoughts about the day and those kind of things. Ash Davies: Yeah. That was Today is Perfect by Ren Butler, I think that book downstairs was. We’re building up our own little library in the office, and it’s a really fun experience. We got a box of books arrived today of books that were published in the past few weeks, and that’s like Christmas to me. It’s unpacking the box, looking through these books that authors have published. The remarkable thing about the network we’ve built, for any of these books that you’re looking at here, possibly, they could be the only book that exists in the world. One copy is there. No inventory at all, but you can buy them from nearly 40,000 retailers, and it’s all around the world. That’s a remarkable kind of sense of magic to know these books are globally available but they don’t exist. John Murch: The partner of Wheatus, Gabrielle, her band is releasing one-off seven inches of live performances, so we are getting back to the macro in terms of people. If you only want one or two copies, it can be done. How has this disruption, as some people would call it, been responded to by the wider publishing world? How are some of the Hardie Grants of the world feeling? Ash Davies: It’s a good question. We’re mostly focusing on the independent authors space, but more and more we do have authors coming up through Tablo that are doing very well, having a lot of reads. We can see and understand the metrics of their books as well, and we can see how engaged their readership is online. They’re then going on to be signed to publishers or they’re receiving agency contracts, so this is very much a modern publishing model because it’s open to everyone. You can publish while you’re writing. Ash Davies: We can then learn and see what books are going to be the next bestsellers, so there has been a reaction from some of the bigger publishing companies to look at products like Tablo as ways to find new authors but, truthfully, they’re going to move very slowly. Traditional publishing is a very slow and archaic industry. They probably won’t understand the true potential behind a model like Tablo until we are at their scale, and then they’ll look to react. John Murch: I’ll let people discover themselves what the company does and what they’re about, costs, engagement, and those kind of things, because Ash Davies is our special guest on radionotes. I want to talk to you about music, but the great place to enter that music, when you’re talking about tactile books, is that of vinyl and the resurgence of vinyl. Have you got on board with that? Have you always been there with vinyl, the record? Ash Davies: Only through nostalgic records that my dad plays. I was born in the mid ’90s when it was all about CDs, so I didn’t even have the vinyl or the tape era. I don’t have a record player. I have an Apple Music subscription, so I’m probably not in the nostalgic character of old vinyl records, but I do like paper books in that way, understand the value of having something to hold. A proper LP, I mean what more of beautiful way could there be to hold a song? John Murch: What has your experience of music been? Obviously, your father’s records, as you mentioned just then, may have got into your venact’ , but what music did you grow up with? Ash Davies: Well, I could tell you my first CD was from a boy band called Five. Terrible. I was around the five-year-old demographic at the time, so that’s probably not the best one to bring up, but music is a huge part of my life. Beyond books, it’s probably the biggest part of my life. I don’t know who said it. In memory, everything happens to music. That’s kind of how my life has been brought up. It’s songs at different times. You could go through my recently played songs, and it’s a total variety from the new Yeezus to old Coldplay and Elbow or Ludovico Einaudi the pianist, so it’s mixed, but I just love the idea of being able to listen to something that puts you back in a time and place and makes you think differently. John Murch: When you were five, it was Five? Ash Davies: It was Five. John Murch: Fair enough. That’s where it was at the time. That rhymes, don’t like that, but hey. Ash Davies: That was a rap. John Murch: What was some of the music that then sort of educated you? Because you’ve already said that it’s important, but what was educating you through those teenage years? Ash Davies: The first album that I really fell in love with was A Rush of Blood to the Head by Coldplay, which I think was early 2000, around 2002, 2003. My dad is English. He was over there, and he found this new album called Coldplay and brought it back, and I kind of became obsessed with it. That was the album that I still listen to today because it grounds me, and you can learn to music, and you can interpret your own things from it. From there, it grew to other English bands like Elbow. There was a lot of Cold Chisel at that time as well, rock and Australian music thrown into that as well, but those are really the bands that I was growing up with. John Murch: Let’s talk about Coldplay, what it is about Chris Martin’s writing, or is it even about his songwriting and is more about the band themselves? Ash Davies: A lot of it is his songwriting. A lot of it is his openness to think through music and how he writes kind of like a diary. I learn a lot about how I think when I listen to different Coldplay songs. I know that Coldplay, as a group, is very polarizing. Some people love it. Some people think it’s the worst music that’s ever been written. For me, it has been a huge part of how I’ve grown up, and it’s still a huge part of how I think. That’s really down to the simplicity of the poetry that Chris Martin can write that can be a perspective of his own life and things that he’s going through, and you can interpret that and read what you want into it, but it always helps me grow. John Murch: Ash, talk to us about that. How does it help you think? Ash Davies: That’s a hell of a good question. It probably needs to be done over a couple of wines rather than some waters, I think, to really go into that, but it’s about love, and life, and romance, and hard work, and kind of pulling yourself out of harder places. Every album is like a little story. You take one like from A Rush of Blood to the Head or something like the Ghost Stories album. They have the euphoria with Avicii there. They have a whole little journey within each album that can help you think when things are high and low and really work through that. John Murch: How did you feel about Avicii’s passing? John Murch: For you, personally, did it affect you? Ash Davies: Probably not on the scale that it might have affected someone else, but yeah, any time a real talent passes, it’s a … You look at the body of work, and you can be sad that maybe you don’t get anymore but grateful for what they’ve done as well. John Murch: I’m not going to look at … Well, I say this because it could be taken the wrong way. Ash Davies: That will be be take two. John Murch: Yeah. You have really good fingers for a pianist. You were on a Play Me, I’m Yours piano. Ash Davies: Oh, man. You’ve been looking at my Instagram. Ash Davies: I know the video. That was Ludovico Einaudi. John Murch: Yeah, and you name-dropped him before, as one would if you’re going to name-drop a musician, go for that composer-musician. Talk to us about the piano. Obviously, you started young? Ash Davies: No. I started when I was old, no musical training or real experience or skill in that. I’m self-taught. I can’t read music. I just fall in love with certain songs and then riff and want to learn how to play them. The only way that I can really describe learning the piano on my own is that we’ve all learned how to touch type, and we can scatter our fingers across a keyboard pretty quickly, so if you just put that to a piano and really love the music, you can eventually figure that out as well. John Murch: Where were you seated when you started teaching yourself that, though? Ash Davies: I was probably late teens. Ash Davies: Yeah. Well, my grandmother was a bit of a musician as well. She played the piano. She was self-taught. She couldn’t read music, so I knew that there was something in the family that made that possible. I remember trying to play when she was still around and remember the music she used to play throughout the house, but for the piano it was really … I just had to buy a little keyboard and start learning. It started off terrible but, within a couple of months, I was picking up a few songs. If there’s a song that I love, I’ll just try and learn how to play it, and then that’s a great little party trick when there’s a piano in the room. John Murch: What drives you? Ash Davies: I just love making stuff and putting it out there into the world. I know that sounds simplistic, but that’s … I didn’t start business because I wanted to make a business. I just loved making product, and I thought why not make something that other people can use and go on that creative journey of improving something and building it? It’s the same with projects like Elon or playing a piano. I just love trying stuff, learning by doing, and getting things done. It’s the same reason people paint. It’s just, for me, it’s business. John Murch: Who’s been your greatest support during that? Ash Davies: It’s been my dad without a question. He knows 10 times more than I’ll ever know in business. I’ve come from a bit of a business background, and it started with my granddad who started the family business over 60 years ago in the UK, then my dad now runs it today, so I’ve come from a family and I’ve grown up in an environment where the conversation around the dinner table is going to be about numbers, or product, or jobs, or employing someone, or the gritty details of having a company. That’s just the environment that I’ve been brought up in. Just to look at what my dad and my family have done, it’s amazing and a great privilege to know that I can go and ask him anything, and he’s probably done it before. That’s been the best support network anyone could ask for. John Murch: Do you find that support drives you to want to help others, as well, in the products that you’re doing through your daily life? Ash Davies: Yeah. I mean I won’t profess to being an expert on anything yet because I’m still young and I’m still learning but, at a certain point, I’d love to give some of that back. When there are new founders, particularly going through the early stages of their business, then I do try and learn and think and help as much as I can, but it’s a learning curve for me as well, so I’m probably not ready to teach or to have that kind of influence on someone beyond just sharing a story and sharing my own experiences. John Murch: Someone like Elon, who we’ve already mentioned as someone within your orbit, it’s about also just documenting what you’re doing now. Richard Branson was very good in sharing this, that if you just remember what you did back when it was right and you were getting those steps going, that it’s going to help you later on. Do you get that vibe that you can learn from what you’re doing now for later? John Murch: That sounds very meta, doesn’t it? Yeah. Ash Davies: It is a little strange to do that, but I kind of branch it off as testing. John Murch: Write a book on your own platform. Ash Davies: It’s pretty cool, actually, isn’t it? It’s just a way for me to process because I … When I write, I learn, and sometimes that’s just a great expression to figure out what you’re thinking. At the same time, it’s also a little too crazy at the moment to really think about reflecting. I’m, at the moment, thinking a lot about the next stage of the business and trying to pull my head out of the dirt and look a little more into the clouds and think, all right, what’s our next round of funding, our next hires, our next product development look like? That’s taking up about 110% of my mental capacity at the moment. Ash Davies: One of the interesting things about the work I get to do, it’s not laborious in the sense that I’m in the office for 12 hours just constantly working through things, but it takes over your life and your mental capacity and your creative capacity. You go to sleep thinking about it. You have dreams about it. You wake up, you’re still thinking about it. In that respect, you can never switch off. There have been challenges that, particularly in the past few months, have cropped up that, to be honest, I kind of enjoy. If there’s something going wrong, I see that as a little opportunity to prove myself. It’s like getting a bad hand of cards in poker and thinking, “Right. How do I win this one?” Business is a lot of that. John Murch: How do you reward yourself? Ash Davies: I don’t do that enough. I don’t take a lot of time off, but the product itself is really rewarding, and that’s really why I do it. I do it for the product and for … I know it sounds stupid and it sounds like a thing that you’d have on a customer service page, but I do it because people really like to use the product, and that itself is the reward, but I’ve been taught by a few mentors that you’ve got to take moments just to reflect, and think about where you are, and enjoy those little wins, and celebrate those moments. John Murch: Is that also where charity fits in for you? Ash Davies: A little. It’s a way to stay a little grounded and a way to open up your mind a little and think about things that aren’t work, because there’s a lot of privilege that comes with having a company and being in a position like this that, at a certain point, I’ll be able to, hopefully, give back a lot more with but, right now, it’s just keeping an open mind to it. John Murch: Brain cancer, how does that fit in? What’s the story there? Ash Davies: That one’s close to home. That’s through a close friend who’s been affected by that over recent years. That’s been a learning curve for a lot of people, a very traumatic but very grounding and eye-opening … It’s hard, when people that you’re close with are going through traumas, to see what’s good about it and look for positivity, but I’m hoping that that can just teach us all that we need to embrace life and then make the most of opportunities that we have. John Murch: Because the mind of a CEO to the mind of someone who helps someone going through something like that, how do you balance those two worlds? Ash Davies: There’s no guidebook for it, and what that has taught me is that work is a little meaningless. As much as we love doing what we’re doing and even though my life is primarily work, that doesn’t really matter. What matters is the people around you, and enjoying moments and experiences, and connecting and communicating. That’s been a grounding experience for a whole team and group of people, my friends, her family, my family, to be going through in our young 20s because it emphasizes the fragility of life and why it’s so important to make the most of it. That’s a lesson that I’m hoping that we can be really grateful for in decade’s time. John Murch: I felt that may have been the reason and, particularly that narrative what you’re currently going through, and I acknowledge that very deeply, is why having something that’s tactile in your working environment, something that has a sense of legacy on a shelf. Ash Davies: Yeah. Digital is ephemeral. Paper lasts forever. I’ve never really thought about it that way, but I can absolutely see what you mean, and that’s probably why paper works. John Murch: We’re getting back to music, and I want to ask this question of you because I know you’re a fan of them. What is the music you play when you’re going around in your cars? Because there’s got to be some banging tunes or something. Ash Davies: Yeah. Oh, man. There’s a whole mix of things. I could drop a pretty good rap to any Drake verse that you put out there, a little bit of Drake. John Murch: Oh, you Elon Musk, you. John Murch: Talk to me about old U2. Ash Davies: I love music that is … What I love about any kind of product, whether it’s a song or a piece of technology, is that some things you see you get a very good understanding of the people who made it and what they were trying to achieve. With anything, if you can see that and feel that, I fall in love with it, and I can appreciate it. It’s the same for an old song by U2, just hearing the emotion in that versus hearing a rap battle with Drake. You can tell why they’re doing something, and that, to me, is as important as the melody and the beats. John Murch: Your favorite U2, possibly, old album? Ash Davies: Album? I don’t know. At the moment, I’m obsessed with Where the Street Have No Name because that’s just an extraordinary build up. Ash Davies: I’ve been watching … Yeah. I’ve been watching a couple of old live performances as well and just feeling the energy in that room. John Murch: Recently, just to share, was watching just Bono and The Edge sitting on the David Letterman couch next him just bashing out old … a few numbers, just not even on the big stage, just sitting there. Ash Davies: That I would love to see. John Murch: What is it about these cars? Ash Davies: Which car or why cars? Ash Davies: I have grown up around cars. That is in my blood. The childhood smell, to me, is petrol in a room. It just takes me back to that kind of leather, fuel, fuel-filled space. I love driving and racing. It’s one of the places where I feel absolutely at home where there’s nothing else on your mind, noting else to think about but, particularly on a racetrack, going as quickly as you can. There’s that paradox of driving very, very quickly towards a wall with a braking zone, and you’re trying to brake a click later, and being so meat-fisted and aggressive, and how quickly you’re driving but also delicate enough to think about tire pressure and to think about the temperature of the brakes. That combination of aggression of delicacies, it takes over your mind. You don’t think about anything else at that time, which is a beautiful moment to hold. John Murch: What’s your favorite time on the track? Ash Davies: On the track is probably some of my favorite driving times. It probably was my old Mini Cooper on a racetrack like Sandown or Phillip Island where you’re not going too quickly. It’s your first time learning. I was probably young and foolish enough to be making mistakes. One of my favorite moments was when I had had a tire blow out at the end of the main straight at Phillip Island in my old Mini. That was my road car, and I had to eventually find a way to drive that home, but it was just in a reasonably safe environment pushing yourself over that limit and learning, okay, this is the limit, and then you take a step back. That’s a great way to learn. Ash Davies: Probably the best, albeit arguably the worst driving experience, was after a race I did up at Winton about three hours away, and I completely cooked my brakes to the point where it was metal caliper rubbing on the metal disc. I came off the track, and I could hear a ‘shzz zzchz zzchz zshz’ just by going in a straight line. I then had to drive my road car for three hours back to Melbourne, effectively, sparks coming off the wheels any time I tried to slow down. I was in a convoy of four other cars who would keep the road pretty clean in front of me so that I could use my hand brake, if needed, and it was … There was so much damage done to my car at that point. All the little metallic flakes that came off of the brake discs ended up embedded in the paint. Then it rained on the way home, and my car was covered in thousands of shards of little bits of rust. John Murch: That sounds like fun. Ash Davies: It was bad, but it was one of my best driving experiences because it was just a crazy moment between friends. John Murch: That was the Mini Cooper as well. Ash Davies: The Mini Cooper, yeah. John Murch: Yeah. Nothing too expensive-ish? Ash Davies: Well, I ended up cleaning it up, but I had to polish the car with a scour that I found under the sink, so it looked fine at the end for a few days of aggressive cleaning, but that was a lot of fun. I didn’t enjoy it so much at the time but, in hindsight, that was pretty cool. John Murch: As someone who takes music into their life and, as you said, it’s part of a narrative, live music, been there, done that? What’s grabbed you? John Murch: Can we talk about that, please? Ash Davies: We can. I’ve got to stop doing this because it’s making my bank account look pretty terrible, but yeah, I was out seeing Drake, J. Cole. I was obsessed with his writing, his poetry, and the learnings of different kinds of communities. From there, it’s also been groups like Coldplay. I know I keep talking about them. Elbow, still one of the best live performance I’ve ever seen. John Murch: I get the feeling you just want to meet Chris Martin, then your life’s done. John Murch: I do know Elbow, yeah. Ash Davies: Saw one of the best live performances I’ve ever been to. Hearing Guy Garvey belt out The Loneliness of a Tower Crane Driver while everyone’s just sitting there with a couple of beers was still one of the best music experiences I’ve had. John Murch: Festival vibe you go for, or is it strictly about the performer and you as the audience member? Ash Davies: A little bit of a combination because you do go to see the talent, but you also go to feel the energy of the room. As with anything, whether you’re seeing a comedian or a musician, you don’t remember the details, but you remember how you felt. For music, that’s it for me. That’s why I still love a live performance, because you get that memory and that elation of being with a bunch of other people who are into the same thing as you, and you can take that memory with you forever. John Murch: How do you see us moving forward engaging with community, because you obviously have a passion for it? You have a vehicle to do it through. We’ve spoken about live music, but where do you see the sense of engagement with community, because I’m not sure if online’s really cutting it? Ash Davies: No, it isn’t. We’re going through a lot of change, at the moment, in a lot of creative industries, whether it is books or music or television, and I think we will still keep going through that period of change for the next five years. The biggest challenge with it is business model. It’s making money from the things that you create and share. It’s the same as the music industry. CDs are no longer the real money maker. It’s touring and live performing. It’s creating that real experience and monetizing that, which is such a great sensible business model, but it’s taking a lot of people a lot of time to figure out how to make it work at scale. I don’t really know where the industry is going to be going for those kinds of creative industries because it will definitely be direct to consumer. Discovery is going to be harder than ever. John Murch: Your Photo Guides … We’ve been looking at the visual element and how to effectively engage the visual through whatever means with a community. Ash Davies: Yeah. Well, I started in the blogging world. When I was 16, I started a blog called Photo Guides. I wanted to learn about photography and also create something, so I put together a blog called Photo Guides. I would go out, pick a topic on my camera, take a bunch of photos, write up a tutorial, and post it online. Over a bit of time, and through a lot of hard work, and through a lot of great ideas, and having a couple of people working with me there as well, we did build one of the best photography resources online. We had podcasts. We had YouTube tutorials and video tutorials that were quite leading-edge to be pushing in the podcast space and the YouTube space about eight or nine years ago. That was just a fun project. I had no real intentions for that. It was just make something and put it out there and enjoy it. John Murch: You did see or at least feel the sense of community, though, through that? Ash Davies: I did, and there are still great friends that I have from that era, either people who followed online and still follow Tablo and my own business journey now or people that I used to work with and write who I’m now close friends with. It was a remarkable insight to me, as someone who was still at high school and was just in a group of 40 or 50 people at school, the fact that I could write something and share it and people all around the world would read it, and there would be people in Mississippi to London reading and engaging and using that content and sending me emails was … it really opened up the ideas of what was possible. John Murch: What was the art of photography about for you, though, then and now? Ash Davies: It’s just about trying and taking a bunch of photos. Again, you look back at six months ago, you wouldn’t think those are terrible, but the photos you make today are great, and that’s a constant experience. I’m not using a real camera as much these days. Most of it’s on an iPhone because it’s what I already have there, but there’s a wonderful experience. The word is, it’s a French word, [French 00:28:41], that suggests that there is great creativity that can be found when you have restraints. Sometimes those restraints can be your freedom. Ash Davies: Having just a little phone with a terrible little screen or camera, though they’re getting pretty good, that’s a great way to think, “Right. What can I make of this? What can I create that people like and share?” I take a lot of interest in that. I don’t think you need the most expensive equipment. I just think you need to get out there and explore and … It’s a good excuse to go and travel, and meet new people, and explore new places. I do just think that photography is a great little way to push yourself to see more things and document them. John Murch: Taking you back to music, and we’ve mentioned a lot about bands, but I want to ask about songs. What songs have got you through? In particular, what song will be when you’re laid to rest? Ash Davies: Yeah. Oh, man, that’s a light topic. There’s a song called Grace Under Pressure by Elbow, which is the song that I go to whenever I am going through something tough that I need to figure out. That’s just a great simple poem by Guy Garvey there that’s … Well, Grace Under Pressure, the words are beautiful. If you can be under immense pressure but still act with grace, then I think that’s a mindset that we can all strive to. Otherwise, it’s probably something more by Kanye West that I’d want to be laid to rest with. I think that’d be more fun. John Murch: What music do you wake up to? What music do you like doing your work to? What music calls it a day for you? You’ve touched on there the emotional time, but morning, work, night. Ash Davies: Yeah. I start the day with a little bit of Drake. I’ve got to say that’s the anthem to the morning. I’m still going back to the … Well, his More Life album is pretty good. There are a couple of songs there which … It fills you with confidence, a great way to kick yourself into action. Otherwise, when it comes to thinking music, I love listening to things that are new. I’ll usually just put on Beats 1, or I’ll just put on a radio station there and just see what else is out there but, at the moment, it’s a lot of rap, a lot of R&B, a lot of hip hop that gets me feeling pretty good. John Murch: Ash, what’s the vision, without giving away too many trade secrets, over the next 10 years because, by then, you’ll be in your 30s? Ash Davies: I’ve already got a scattering of gray hair, so I feel like I’m already there. John Murch: Of course you do. I got my first one two months ago. Ash Davies: It’s, at the moment, all with Tablo. That’s really the vehicle that I’m building my life around. We think a lot about the future of the publishing industry, and all that we really liken it to is as simple as, if you want to make a website or a blog, there’s a service out there where you can write something and share that, and the same kind of system should be there for books. Now, granted, we have that product today in Tablo. We think of this as a compounding effect can become the future publishing company. It can be on the scale of a Penguin or a Hachette or a Macmillan but more open, and anyone can write, anyone can publish. We can discover the best authors, and we can make the next household names through people just wanting to write and share. We think that that, over the next 5 to 10 years, is going to be the thing that really brings Tablo to be a household names. John Murch: How does the publishing house fit with censorship? How do you deal with? How do you fit with it? Ash Davies: We think about it a lot nowadays because we realize we have an opportunity or a responsibility to think about that. It’s a very difficult ground for us to cross because part of democratizing publishing means supporting free speech, which we believe in and support greatly, so we will let just about anything be published, but we also do think a lot, “Well, what if someone is publishing a book that has its values grounded in the early 1900s? What if there’s content that should not be published or a message of racism, or sexism, or something that we don’t want to support?” We’re still having that debate, and how does that overlap free speech? John Murch: That’s a very fiery debate. John Murch: It can’t just be overseen so, internally, it sounds like there are ongoing conversations about how that fits in. John Murch: How have you been feeling about going through that? I don’t have any examples cited in my head. I’m just thinking about this logically. We’re talking about rappers. We’re talking about people that have things to say who use the N-word a lot, for example. What’s your view on how you deal with the issues of censorship as an organization? Ash Davies: It’s difficult because it’s one of those things that’s hard to get right, and you’re probably going to get it wrong a few times before you get it right, so we’ve got to just make little decisions that we think are grounded with the right values. I mean I think that a company, at the end of the day, is made up of people. People have values. We have a very forward-thinking team who want to help people share, and we are very young and progressive in our world views. That really does reflect itself in the product and in what we do as a business because it’s what we think is right. The real challenge that we’re working through at the moment is when do you stop someone from publishing something? Ash Davies: There’s the curation side, which is very straightforward for us in that, if someone’s publishing a work of fiction and it’s a good quality book, you promote it. If it’s a bad quality book, that’s great for the author to learn, and the author can keep writing and promoting. I think that writing is a form of expression, and a form of practice is the only way to improve your own writing and write something better, so we let anything be published, and then we work to find what books are the best and bring them to the surface for people to read. John Murch: Because there is that difference between an online blog and the tactile, in that sense, for memory. Ash Davies: There is. The content is obviously more long-form. It’s more written to a theme. Usually, when you look at a book, there’s that ideology of writing what you know, and that’s what most people are writing about. If they’re writing a book, whether it’s a crime novel, there’s usually characters in there that are based on life inspirations and things that have happened in their own background, so that’s something that we’ve got to respect. John Murch: You mentioned yourself that there’s a book that’s under wraps which is in the back servers, obviously, that you’re working on. How far off do you think it will be before we’ll see an Ash Davies Tablo release? Ash Davies: That’s a damn good question. Probably a few years away because the story is still progressing. It’s an interesting perspective for me to have because, a lot of the time on the surface with Tablo, the headlines that we have, the product releases that we have, it glorifies the company and glorifies what we do. We’ve done some amazing stuff but, for me in my mind, it’s still going, and we’re a few years away from where I think we can be and from reaching our potential, so I don’t feel like that story is really finished yet. That’s going to take a few years to get to the point where I feel like it’s worth giving back. John Murch: Do you also get a feeling that, because of the stature of CEO, founder, that you might have to do it with a bit of anonymity? Ash Davies: Probably. There’s a … partly for reasons of confidentiality and things that we’ve done as a business that have worked or haven’t worked. There are stories that I would love to share because they make up my own business experience but I legally can’t share, so that’s going to take a bit of time for me to be allowed to share in full. If I wanted to share the story of how Tablo got to where it was, I’d need to share everything but, right now, I can’t. John Murch: The importance of sharing everything, just like in lyrics, you take that quite seriously. Ash Davies: I think words have a lot of meaning. It probably comes from being in publishing, but it’s … I try really hard to think about ideas, and I internalise a lot of it. That’s so that I can figure out what I’m thinking and figure out what to do next, whether it’s in life or in product. I think that words are the most important thing that we have because it’s communicating with people ultimately. Sometimes I just want to get an idea really right before I share it. John Murch: You’re currently based here in Melbourne in Victoria, Australia. Do you think this is the future headquarters for such a venture? Are you feeling comfortable or would you prefer to move up to something better like Adelaide or New York? Ash Davies: Well, we have an office in Adelaide not too far from you, and I probably get there not as much as I should. Melbourne is a great city to be building something like this in because … mainly because we have better coffee. John Murch: No, you don’t. Ash Davies: That’s another debate we can have. John Murch: Yeah, you don’t. Ash Davies: We see a bit of a future in the US. There are some plans under way, at the moment, about what we’re going to be doing there. John Murch: Have you looked across to the US and got a sense that they really aren’t doing what you’ve got planned for the future? Do you think it is groundbreaking? I hope the answer’s yes. Ash Davies: The product is groundbreaking where people are generally surprised when they know that we’re a little Australian company because they imagine that we’ve just got a dozen offices throughout the United States. I think that, in order to take this to the world, we do need to have presence over there, so we’re currently looking at setting up a New York office, and we’re taking those plans very seriously. Hopefully, by the time this out, we’ll have actioned some of those plans. John Murch: In 2019, yeah. Ash Davies: That’s part of the plan for growth for us. There’s also a mindset shift between Australia and between the US that I’ve noticed a lot. There is a ceiling in Australia for companies in technology. Part of it is tall poppy syndrome because, oftentimes, when you’re doing something really good, that’s really where people start to try and ground you and bring you down. John Murch: But that’s when you know you’re doing something right. Ash Davies: Yeah, and we’ve got to really lift our game and do a little better at that point, so we’re thinking a lot about the US mindset. A lot of the partners and the people that we know and we have worked with over there will take and idea and see what we’ve done so far as the potential, and they’ll try and get us to that next stage, so I think that a big part of our journey if we want to take on the publishing industry and shift this space for everyone, have a bit of a global presence. John Murch: What are you going to do for your 30th? Ash Davies: I think it’s going to involve putting on a bit of Drake and getting in a car. That seems like the best kind of birthday. I don’t even know where I’m going to be in the world when I’m 30. I’m more about small things, and so if I’m just surrounded by good people, and I’m somewhere interesting, and I’m surrounded by people that I like and love, then that’s really all I want to be targeting for those kinds of years. John Murch: You’re massively fascinating. Thanks very much for your time, Ash. Ashley Davies – CEO and founder of Tablo… and also one of the minds behind Elon’s Musk. Speaking to John while in Melbourne, Australia. For more information tablo.io …as for Drake, he has seven – 2019 Grammy nominations.